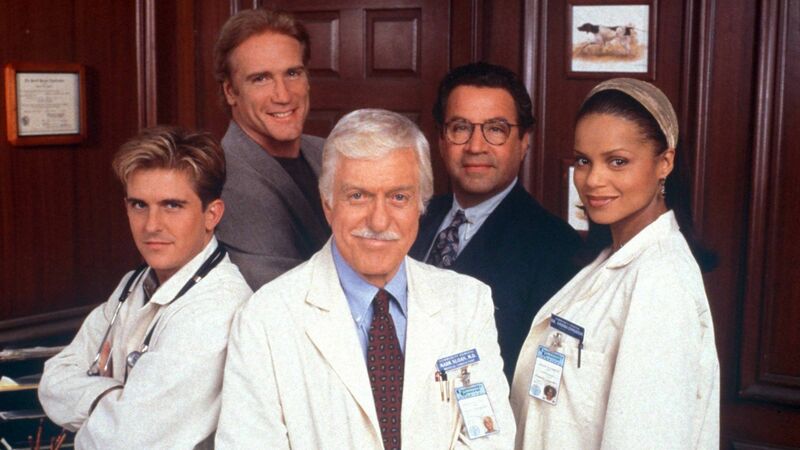 Here's where to watch every episode of Diagnosis: Murder season 5. Mouseover or tap an episode to see where to stream it. Click or tap the play icon to stream it on the best available service. Murder Blues Sep 18, 1997 Steve becomes embroiled in political intrigue after the murder of a city councilman's wife appears to be part of a larger political strategy. Steve investigates two mayoral candidates, the councilman and the chief of police, as well as a rogue detective and his partner, all with strong motives. Open and Shut Sep 25, 1997 Mark investigates when her older lover, a new state Supreme Court Justice, murders a teenage girl. Malibu Fire Oct 2, 1997 A Malibu Hills fire is the backdrop for rising tensions between the residents; a disgraced stockbroker, a naturalist, a worried father, and a land developer. A worried Dr. Sloan deals with his own parental fears when Steve helps fight the fire. Deadly Games Oct 9, 1997 Community General is already under increased security, with a high-profile criminal hospitalized, when an important businesswoman is brought in. Mark suspects her security guard has deadly intentions. Slam-Dunk Dead Oct 16, 1997 Jesse's new part-time job as trainer of the pro basketball Mustangs turns deadly when he's accused of murdering a star player. Looks Can Kill Oct 23, 1997 Dr. Sloan investigates a plastic surgeon when an actress's death apparently results from an infection contracted during surgery. Fatal Impact (1) Oct 30, 1997 Mark and Amanda are assigned to the task force investigating an airplane crash. An adversarial FBI agent and Russian mobsters make their assignment more difficult. Fatal Impact (2) Oct 30, 1997 Steve and Ron lead the chase for the stolen nuclear material. Must Kill TV Nov 6, 1997 The Sloans run into plenty of industry politics when they investigate the death of television network executive, Rachel Woodrall. Seamy revelations about Woodrall's college sorority lead to the killer. Discards Nov 13, 1997 Jesse finally reunites with his father. After they narrowly elude an assassin, Jesse begins to realize his father isn't the accountant he's always claimed to be, but rather a spy. The Travis's attempt to discover who's sending the killers. A Mime is a Terrible Thing to Waste Nov 20, 1997 A dead mime leads to an investigation of a crooked auto dealer. Randy Wolfe, a woman who's apparently an expert at everything, leads the investigation while continually annoying Steve. Down and Dirty Dead Dec 11, 1997 A motorcycle stunt driver has a fatal accident while filming an action video. Steve investigates. Retribution (1) Jan 8, 1998 When Steve is shot and falls into a coma, Mark does all in his power to find the assailant, even threatening a suspect with bodily harm. Mark finds himself the prime suspect when Steve's alleged attacker, Gordon Ganza, is murdered and all clues point directly towards Dr. Sloan. Retribution (2) Jan 15, 1998 This episode takes place four months after Mark was convicted of murder. Steve is slowly recovering from his wounds and Mark is still rotting in prison. While Mark endures the taunts of fellow death row inmate Malcolm Trainor, Steve and Tanis Archer launch a rogue investigation to find Ganza's real killers. Drill for Death Jan 22, 1998 A hospital emergeny preparedness drill turns deadly when an unpopular and ambitious nurse is found dead amid the chaos with an eccentric artist the only witness. Rain of Terror Jan 29, 1998 A spat between a girl and her boyfriend leads to an apparent murder, leaving the girl and her mother with a dead body, just as dinner guests Mark and Amanda arrive. Panic sets in, when the body disappears, the power goes out, the roads are impassable, and the attacks begin. Baby Boom Feb 5, 1998 A madman charges into a Lamaze class with a bomb, claiming that a fertility doctor was cheating him. Everything is complicated further when said doctor turns up dead. Talked to Death Feb 26, 1998 Ratings seeking stunts by TV talk show hosts Darren & Mary has tragic results. An Education in Murder Mar 5, 1998 When a rash of deaths at a high school revolve around one 'helpful' young girl, Dr. Sloan risks his own life to uncover the murderer. Murder at the Finish Line Mar 26, 1998 Dr. Sloan investigates to find out who's behind the death of a driver in a speedway crash. First Do No Harm Apr 16, 1998 When a young girl is rushed into the hospital in need of immediate treatment, but dies due to a HMO's negligence, Dr. Travis and Community General are sued for negligence. Dr. Sloan must choose between his ethical convictions and the hospital. Promises to Keep Apr 23, 1998 The Matthews family is reunited after years apart. Here, Ryan and Tess Matthews come to LA to help Kate when she's in trouble with a con man. Food Fight Apr 30, 1998 Dr. Travis gets involved in the treacherous and deadly trade of catering when he oversees the annual charity banquet. Obsession (1) May 7, 1998 Dr. Sloan insists that a man he helped condemn to death for a series of bombings is guilty, even after a post-execution explosion. Obsession (2) May 14, 1998 Three months after the execution of Lewis Sweeney, explosions are still rocking the LA area every four days. The unpopular Dr. Sloan continues his efforts to nail Carter Sweeney for the bombings.